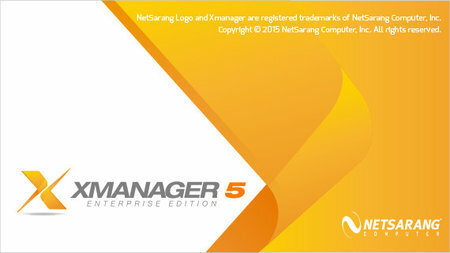 Xmanager Enterprise is the complete network connectivity suite. It comes with a high performance PC X server that supports OpenGL (GLX) with 3D, secure terminal emulator, file transfer client and LPD printer server. 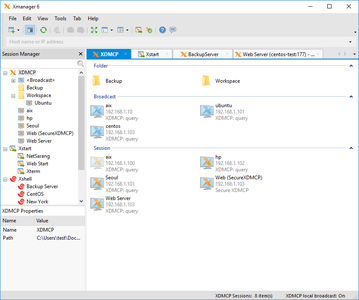 3D X applications run faster on Xmanager Enterprise 5 and provides secure access to remote terminal via SSH and TELNET, convenient transfer files via SFTP/FTP, and printing remote documents locally with LPD. All applications in the Xmanager Enterprise package are designed to work together to ensure the highest level of interoperability. All applications are developed by NetSarang from the ground up, so you can expect expert technical support from our skilled technicians. 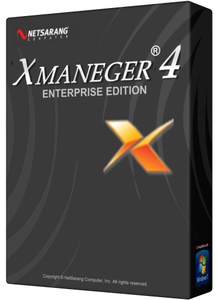 Xmanager Power Suite is an all-in-one solution that includes Xmanager, Xshell, Xftp and Xlpd in a single suite. Xmanager runs X window applications, and Xshell manages remote Unix/Linux servers with a secure terminal. Xftp transfers files between systems securely, and Xlpd runs local printing for remote documents on other systems.